We also have extensive experience in successfully matching up with the demands of a wide range of life saving equipment that find usage in swimming pools as well as with life guards employed near the water bodies to provide help in time of distress. Manufactured with great care and as per strict codes. Our Portable Lifeguard Chair are placed on the Swimming Pool deck for the Lifeguard to sit upon them. It places the lifeguard at a viewing height of 6 feet to easily inspect the complete pool. The chair is easily accessible through a front-side ladder with anti-slip finish. The Lifeguard chair can easily be repositioned. It also consists a lifebuoy holder. The stand is made up of SS304, the chair is made of Fiberglass. 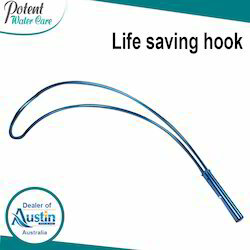 Austin’s Lifesaving Hook are used for saving a drowning person. One end of the hook is attached to a telescopic handle. The other end is of the shape of a big question mark. It is used to capture the drowning person and pull him out of the water. It is made up of light weight aluminum to ensure easy usage. Our Lifeguard chairs are placed on the Swimming Pool deck for the Lifeguard to sit upon them. It places the lifeguard at a viewing height of 6 feet to easily inspect the complete pool. 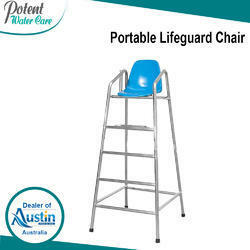 The chair is easily accessible through a front-side ladder with anti-slip finish. The Lifeguard chair can easily be repositioned. It also consists a lifebuoy holder. The stand is made up of SS304, the chair is made of Fiberglass. It is made up of 38-mm Diameter SS304 which provides it long lasting durability. Now, learn how to swim without any fear. 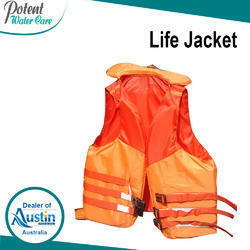 Our Life Jackets are the safest Life Saving Equipment available for Swimming Pools. These are made of tough and virtually water impenetrable polyethylene fabric. It is highly efficient in saving a person from drowning. It keeps you above the water level in all cases. Meets the latest imco & solas requirements. 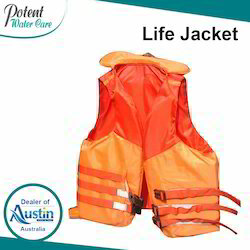 These are heavy duty Life jackets suitable for various applications. 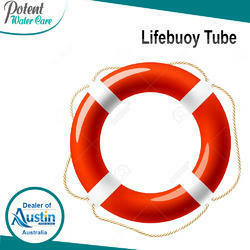 Lifebuoy Tubes are high Buoyancy Rings that are used to save a drowning person’s life. A person can stay a float holding onto one of these tubes. They come with ropes to attach to a longer rope and have reflective tapes on it to help identify location in dark. The orange color is visible from far off. Our SS Lifeguard Chair are placed on the Swimming Pool deck for the Lifeguard to sit upon them. It places the lifeguard at a viewing height of 6 feet to easily inspect the complete pool. 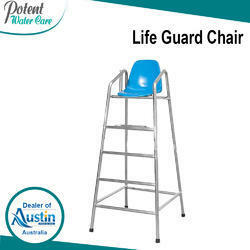 The chair is easily accessible through a front-side ladder with anti-slip finish. The Lifeguard chair can easily be repositioned. It also consists a lifebuoy holder. The stand is made up of SS304, the chair is made of Fiberglass. 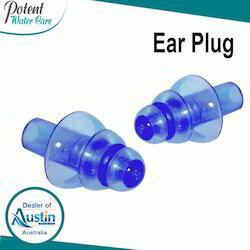 Ear Plug are used by swimmers to prevent entry of water. This prevents infections and water damage to the ear. Looking for Life Saving Equipment ?